When someone in a family or intimate relationship holds power over another, this can create a pattern of abusive behavior. This type of domestic abuse is common in Florida, and it often has associations with alcohol and drug misuse. Fortunately, there are Florida addiction treatment resources that can help break this cycle of abuse and chart a pathway to recovery. Domestic violence is also sometimes referred to as intimate partner violence. According to the American Society of Addiction Medicine, this is a cycle of behavior that has become a national public health concern because it affects millions of people across the United States. This type of harm occurs when a partner causes physical, psychological or sexual pain to another spouse or partner. This type of coercive behavior can manifest in a pattern of acts such as intimidation, humiliation, assault, threats or other forms of abuse that are meant to frighten or harm the victim. The main types of domestic abuse are physical violence, psychological aggression, stalking and sexual violence. Those might be the most common forms, but they are not the only ones. Other forms of domestic violence include exerting power over someone by controlling finances, access to medical care, food and even family and friends. According to the Florida Coalition Against Domestic Violence, abuse between partners is a prolific problem in the Sunshine State. In fact, it is considered an epidemic. In 2015 alone, there were 107,666 reported acts of domestic violence in Florida. The state’s certified domestic violence shelters provided services that year to 16,362 domestic violence survivors and their children for a total of 600,621 nights of safety. Over the same period, nearly 123,000 hotline calls and over 113,000 safety plans were issued statewide. Domestic violence advocates also provided a total of over 412,400 hours of counseling and advocacy services. Unfortunately, an issue that is often left unaddressed is alcohol and drug misuse in the home. Substance misuse has been found to co-occur in 40 to 60 percent of intimate partner violence incidents, according to a variety of studies. What this fails to reveal is whether the person with a substance use disorder is the abuser or the victim. Often, it is both. The beliefs and attitudes associated with domestic violence are not something that humans are born with but are rather learned behavior. While not everyone that grows up exposed to domestic violence will later become a perpetrator, the odds go up when alcohol and drugs are added into the mix. Those learned ideas may be hidden under the surface, only to rise up when people are no longer fully in control of themselves. While alcohol or drugs do not make someone turn to violence, many substances have depressive compounds that reduce verbal filters and lower impulse control. This is a significant danger when it comes to the potential for domestic violence. People who are likely to be abusers might be more likely to distance themselves from social support. 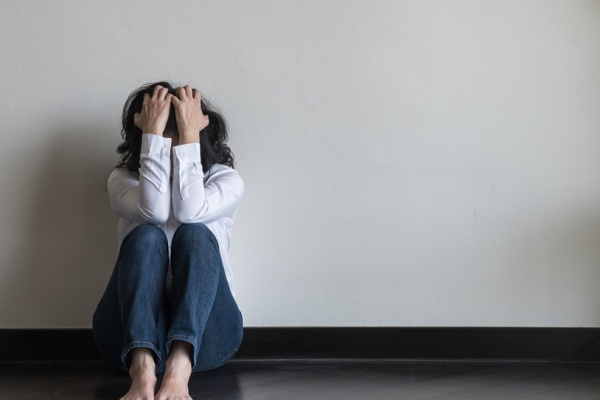 There is also the possibility of other co-occurring disorders such as anxiety, depression or bipolar disorder that can impact behavior if not properly treated. There is a greater chance of domestic violence when alcohol or drug misuse is present. Victims of domestic violence may begin or accelerate their use of alcohol and drugs to numb physical and emotional pain or to perpetuate an unhealthy dynamic in the relationship. One study performed as part of a grant by the National Institute of Justice in the 90s concluded that being involved in a violent relationship was one of the leading causes of female alcoholism. It also confirmed that women run a nine-fold higher risk of drug misuse after experiencing an abusive episode. One of the keys to gaining freedom from a destructive relationship pattern and domestic violence is to also address any co-occurring substance use disorder. If you are the victim of abuse, there are domestic violence resources that can help. Your safety comes first, and it is important to realize that any abuse you have dealt with is not your fault. Once you are in a safe place, it may be time to address alcohol or drug misuse that may have been used as a coping mechanism in the past. The right addiction treatment program can gently guide you on the pathway to healing. Even perpetrators of domestic violence have underlying issues that may have led them down a dangerous path. If this is your situation, you are not beyond hope. The Orlando Recovery Center offers comprehensive and compassionate addiction treatment services, and the facility welcomes a conversation about how its medical professionals can help you move forward from your current circumstances. Contact Orlando Recovery Center now to speak with a call representative about your treatment options.